The more money a defendant has, the better the chances of having a dream team defense. Shamefully, $10 or 15 thousand dollars to an attorney is not considered a lot of money. This is why my son and I are thinking of going pro se. I thought that when I paid $15000 for my son’s first attorney, all would be well. It never dawned on me that the attorney would not conduct an investigation nor even prepare for the trial. It is my opinion that 3 of 4 these attorneys (I am not sure about one of these attorneys) committed fraud upon the court and corrupted the legal process? How do I now know who to trust next? My thoughts are of going pro se. The groups of attorneys that we chose were all friends and most likely part of the Good Ol’ Boy Society. None of them bothered to investigate the case. Rather they just followed what the first attorney and prosecutor said. I feel that we could do a better job. It definitely couldn’t be any worse. My husband had a federal public defender. I called him almost daily and told him what he should investigate. He never did. He told me once that I should be a lawyer. He said it as a joke. I didn’t think it was funny. There were legitimate and obvious things he should have been doing. It was frustrating to us but we had no experience. But I know my husband could have did a better job. I also found out that prosecutors hold secret lunch meetings at least once a week and discuss all their cases. 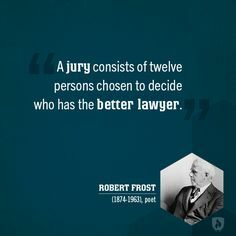 And the prosecutor in my husbands case always has the same judge. It is a good Ole boy environment. Thank you for your comment. As you said, it is very frustrating, especially when it seems like the attorneys are deliberating sabotaging the case. I spoke with a representative of Lt. Gov, Dan Patrick’s office, for almost an hour. I explained that I was seeking Truth & Justice for my son’s suspicious death, that took place in Amsler Park, McGregor, Tx, on Feb 16, 2006. I explained that I’ve been seeking a Death Inquest, per Texas Code of Criminal Procedures, Art. 49.01, for 9 years and through 3 Justices-of-the-Peace (McLennan County, Pct 5, now 4). Daryl(sp) listened, as I ran down all the contacts I’d made: Texas Rangers, McLennan County Sheriff’s Dept, my local and state representatives, Attorney General, Abbott and Paxton, Governors, Perry and Abbott, District Attorney, Abel Reyna, Legal Aid (who will not represent a criminal case), Texas State Bar, etc, etc….. I expressed my confusion, as to why if this Law is under Texas Law, why is it so difficult to follow? I did a recap of the odd/suspicious circumstances of Joshua’s death, that led me to believe that Joshua was murdered and did not commit suicide. In 2006 and 2007, I had contacted the Texas Rangers/Company F/Waco, Texas, to request an Investigation into Joshua’s death, because McGregor PD had not investigated, nor would McLennan County Sheriff. I was denied both times, by Ranger Stephen Foster, now retired. Foster, became Chief of Police in McGregor, in Feb, 2008! Coincidence? No, I don’t think so. So, my next step, an FOIA to the Texas Rangers. My question, after my lengthy conversation with Daryl(sp), what exactly do our state offices do???? I am so sorry that you are experiencing this run around for so many years. I wish that I had some advice to give you. All I can say is persevere. It’s all we can do.